Dwight David Howard (born December 8, 1985) is an American professional basketball player for the Houston Rockets of the National Basketball Association (NBA). Howard, who usually plays center but can also play power forward, had an outstanding high school career at Southwest Atlanta Christian Academy. 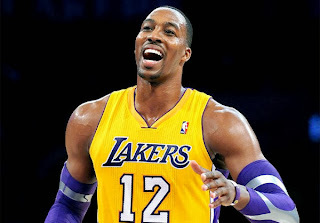 He chose to forgo college and entered the 2004 NBA Draft, and was selected first overall by the Orlando Magic. 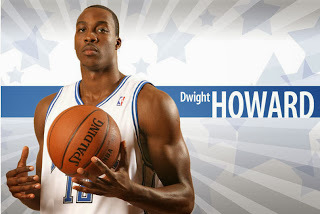 A seven-time All-Star, seven-time All-NBA team selection, five-time All-Defensive member, and three-time Defensive Player of the Year, Howard has been ranked consistently as one of the best in the league in rebounds, blocks, field goal percentage and free throw attempts, and has set numerous franchise and league records. He led the Magic to three division titles and one conference title, and he was the winner of the 2008 NBA Slam Dunk Contest. In the 2008 Olympics, he was the starting center for Team USA, which went on to win the gold medal. 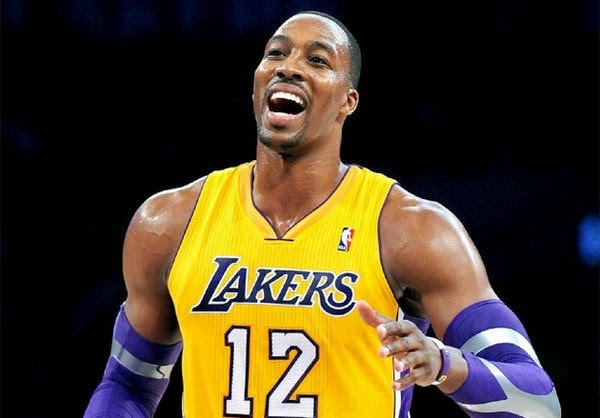 He was traded to the Los Angeles Lakers in 2012, and signed with the Houston Rockets in 2013. Before he was drafted in 2004, Howard said that he wanted to use his NBA career and Christian faith to "raise the name of God within the league and throughout the world". In November 2009, he was named one of the 10 finalists for the Jefferson Awards for Public Service, which awards athletes for their charitable work. In early July, Howard met with the Lakers, Dallas Mavericks, Houston Rockets, Golden State Warriors and Atlanta Hawks. On July 5, 2013, Howard announced on his Twitter account that he was joining the Rockets. He officially signed with the team on July 13, 2013. He would join Superstar James Harden to form a duo. Upon Howard's decision, his former Lakers teammate Steve Nash said that Howard never wanted to be a Laker. He was moved from center to power forward to make room for Omer Asik. In his first game for the Rockets, Howard recorded 17 points, an equal career-high 26 rebounds and 2 blocks in the 96-83 win over the Charlotte Bobcats. 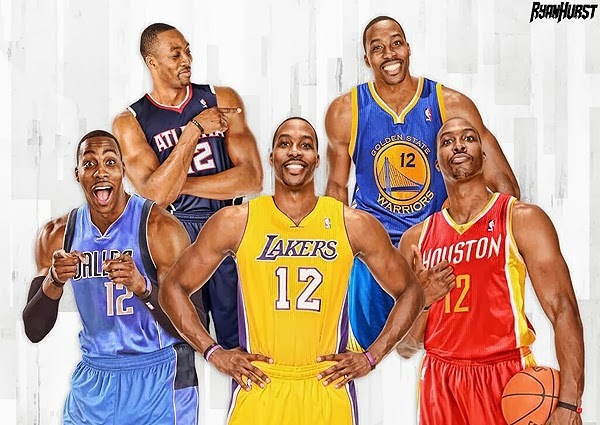 Howard has amassed several NBA and franchise records and awards during his NBA career.